Whether your website is brand new or it isn’t getting much traffic and leads, you can try Pay Per Click management services to get some leads and an immediate boost in targeted traffic. Basically, in PPC advertising you run your ads through different channels and only have to pay when someone clicks on your ad. 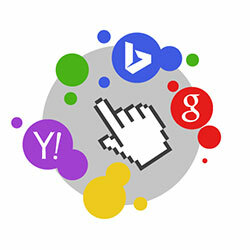 There are different ad networks which you can try, but the most popular are Google AdWords and Bing Ad Center. With these, you can target search networks or related websites i.e. your ad shows up when someone searches for products/services you offer or when someone reading an article/blog post related to your products or services. According to Google Economic Impact Report: businesses make an average of $2 in revenue for every $1 they spend on AdWords. 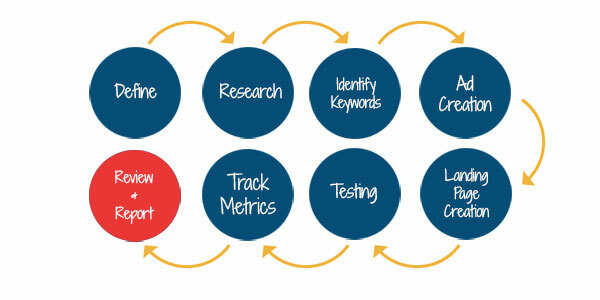 We choose the best keywords for your campaign and also analyze the keywords your competitors are using. We target your customers geographically with proper filters in place. Such as location, age group, interests etc. Our PPC experts and designers will create creative and click-worthy ads for your campaign. We can also create custom landing pages for your campaigns to increase conversion or recommend improvements to your existing one. Our PPC consultants will track your campaigns to optimize cost per click (CPC) and improve click through rate (CTR). We will send you your PPC campaign analysis report every month. Our aim is to provide you higher ROI at a lower cost. Here at Webaholic, we also manage Facebook Ads, Twitter Ads, LinkedIn Ads and YouTube Ads bringing geo-targeted visitors to your website from your city or throughout the nation. We will create a custom online advertising strategy especially for you. We won’t charge you extra such as setup service fees. We make it simple with a month-to-month contract which you can cancel anytime, no questions asked. So, if you are searching for PPC management services in Kolkata – join hands with us to get the best ROI for your online advertising campaigns.